Tamil Nadu is predominantly agricultural so it is not surprising that the most important festival is pongal, the harvest festival, which is celebrated at the beginning of the Tamil month of Thai. Sweet rice, known as Sakkarai Pongal, is cooked in a new earthenware pot at the same place where pujai is performed. Fresh turmeric and ginger are tied around this pot. Then a delicious concoction of rice, green gram/payatham paruppu, jaggery and milk is boiled in the pot on an open fire. 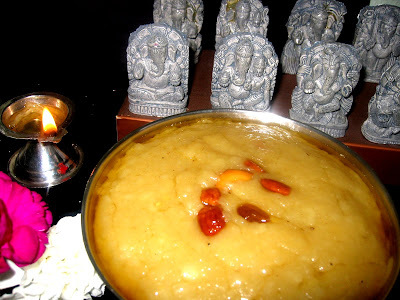 This Pongal, according to ritual, is allowed to boil and spill out of the pot. . It is this overflowing which means Pongal. Once the Pongal is ready it is tempered with cashew nuts and raisins fried in ghee. Pongal, once ready, is offered to God first, on a new banana leaf along with other traditional delicacies like vadais, payasam, etc. Besides this, sugarcane, grain, sweet potatoes etc. are also offered to the Sun God. Modernization brings in changes and therefore compromises are made. Traditional recipes that call for elaborate cooking are disappearing. The recipe provided here is not the typical gramathu/village pongal but a refined pattinam/city -pressure cooker version. In Seattle, Pongal is celebrated with new clothes and eating hot, delicious Pongal. I do miss the sugarcane here –On my list of some memorable things I miss here. Fry the green gram in the kadai in one teaspoon of ghee . Wash well and keep aside. Cook the rice and green gram with 6 cups water and milk in a pressure cooker. Mash the mixture well when cooked. Put jaggery in a kadai with 1/4 cup water and let it melt. After it melts, you can filter the liquid using a fine sieve if needed. 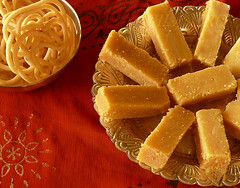 Boil the filtered jaggery until 2 string consistency. Add rice and dhal mixture to the jaggery and cook stirring continuously. Take off from flame. Fry the ingredients in Set (2) in little ghee and add to the Pongal. Mix in the ingredients in Set (3) to the pongal. 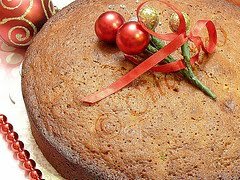 hi..sakkara pongal pakkavae nalla irukku..can u post the recipe for kootukai kozhambhu..